Weeds Are Coming: Do You Know What Invades Your Field? Dynamic decision tools to help you make informed management choices. 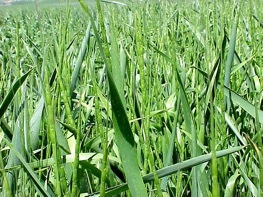 The National Jointed Goatgrass Research Program was initiated in 1994 by using a special USDA grant to fund regional research and extension activities directed toward limiting the damage caused by jointed goatgrass to winter wheat production in the western United States. View more information generated over the course of this 15-year program.